Today is July 21, and three weeks have gone by since we wrapped up our community petition drive and presented our signatures to the Elections Commission on July 1, 2013. I wanted to take a few minutes to reflect upon the amazing adventure that we have embarked upon and revisit a few things that we have accomplished along the way. As neighbors and the community at large became aware of the shell game orchestrated by Mayor Hancock involving Hampton Heights North Park, we began to see that by talking with our neighbors there was desire by the community to stop this travesty, as we could all see the larger ramifications of this project. Somehow we knew that the decision to become involved must come from within and we could accomplish much, but with the help of others, we could together lift this citizen’s initiative off the ground and accomplish higher goals. What are those goals? As I see it we are at a juncture in our history where available lands are getting scarcer and developers are getting more creative about getting the land that they need to accomplish their agendas. They are doing this by developing public/private “relationships. “ These are realtors, developers, and other individuals who stand to profit from “energizing” our parks. The recipients of such deals abundantly fund the politicians who support the transfers of public property to the private sector. The result is that Denver loses public open space to these ventures. Since it is pretty clear, the developers have financial stakes in our political system then these collaborators may clash with the needs of the community. We can see that Hampden Heights North Park may very well be just the testing ground for a broader agenda with the loss of park land for development projects as public/private collaborators work together to establish legal credentials for that agenda. That is the juncture in history that is presented to us. The question must be asked, “Do we allow the politicians to shape this future for us”? Do the people have the right to self-determination, or do our rulers/elected political officials have the right to act upon some notion of 19th century Manifest Destiny? As we jumped into this process with both feet, I have seen learning and growth in our community, because if we didn’t organize and work together then the results would be the will of the politicians and not of the people who govern them. We have 6,664 signatures in little more than a month of weekend petition circulating proving proof positive that the community believes this is matter that should go before the vote of the people. 1. I have seen members of our community state publicly with strength and conviction that they are no longer willing to be patronized by our government officials and led to believe that this is a participatory democracy without real proof that their involvement is meaningful or will lead to real results. 3. We have learned about parks, how they are structured, how they are maintained, who are the players in the game, and what are the threats to these valuable environments. After all, if New York City did not have a Central Park then Manhattan would be nothing but a barren concrete-jungle. As we build and grow then it is certain, the oasis of a park will become even more vital to the health of our city. 4. We have turned off our TV’s and gotten out in our community. In the process we have learned the history of our community, how it has grown and expanded, and the forces that act upon it, creating the situation we are facing today. 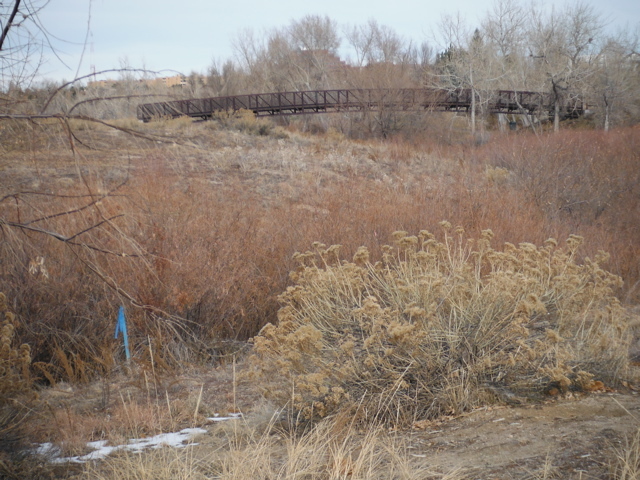 Moving from a trail for pioneers, then a stage coach road, then 4 houses in a 20 mile radius, to a great flood that destroyed downtown Denver, to a purchase of flood plain lands to control runoff and flooding, the building of another dam, to recreational use along Cherry Creek, and now wall to wall housing units. Begging the question, do we want more concrete, or do we stand and fight for our parklands. 5. Wow! I have learned about our precious rights as a citizen. That we have governing principles that will sustain us through events such as this. I’m looking at my government and our political landscape in a much different light. I have higher expectations from my government, and I have feel that I have a right to due process under the law. I have learned to look at the political processes afoot in our community with greater scrutiny. I would like to thank Mayor Hancock , Peggy Lehman, Deborah Johnson, David Broadwell, Anne Rowe, Laurie Dannemiller, Scott Gilpin, and Happy Haynes just to a name a few that I have met along the way that have activated me as a citizen and now I have my magnifying glass focused on their actions and I aim to hold our representatives accountable for those actions. And I know how it can be done ….. So that’s all that I have to say so far. I expect to see much more growth personally and as a community as we wind our way through this labyrinth together, meeting a few Minotaur’s along the way as we strive for success in our endeavor. Many thanks to all who are holding their torches high to shed light upon this path. There are too many to name, but thanks to Kathleen Wells and Joe Halpern who started this journey, all those in between whom support this endeavor, and John and Judy Case who are confronting the Minotaur in hand to hand combat to see whose Will is to win. "The recipients of such deals abundantly fund the politicians who support the transfers of public property to the private sector"
Denver to DPS. Public to Public. "the developers have financial stakes in our political system then these collaborators may clash with the needs of the community." The community needs a school. "Begging the question, do we want more concrete, or do we stand and fight for our parklands." It's not some monolith office building, it's a school. Denver Citizens say " Put it On the Ballot"